Knowledgeable and friendly staff at lj Residential are waiting to help you with your enquiry. Our results have proven we are a very pro active company with a great deal of experience regarding the housing market in Dumfries and Galloway. 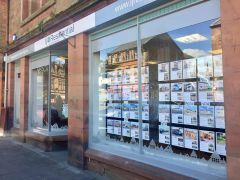 To arrange your free no obligation valuation or to view one of our properties, please contact our Annan office. Thinking of moving to Dumfries & Galloway? lj Residential have extensive local knowledge of the area. Please feel free to ask us anything and we will be pleased to offer our advice and information on the local property market.